Simply sweet. 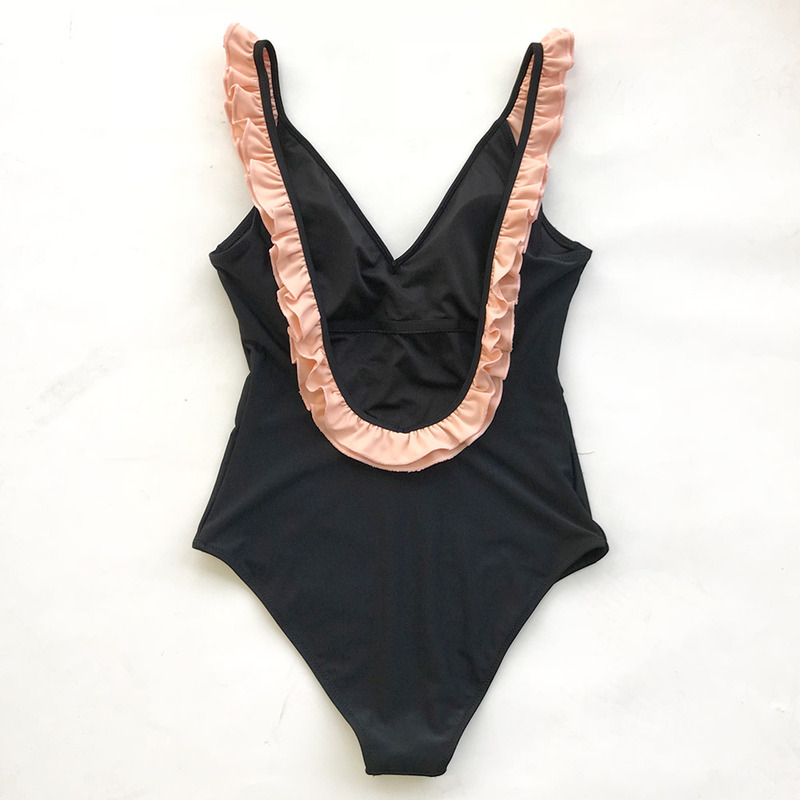 Our Black with Pink Ruffle One-Piece Swimsuit features a deep v-neck front and deep scoop back. 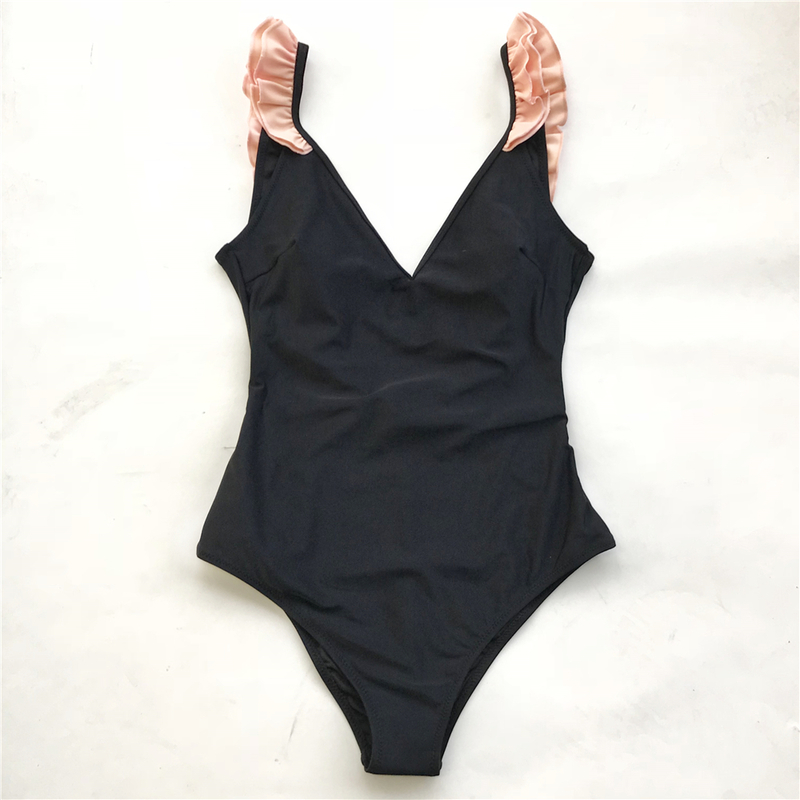 This swimsuit will have you beach ready in no time!